The Peugeot 308 may not be the best car to drive in its class, but it still has plenty to offer, including impressive performance from the GTi model, plus super refinement and exceptionally low running costs from the latest diesel engine. Try before you buy would be our advice, however, because Peugeot’s rather unique take on ergonomics means the driving position won’t suit all; and, for this kind of money, there are some truly stunning alternatives, including the Volkswagen Golf and Vauxhall Astra. Many folk will struggle with the driving position. Interested in buying a Peugeot 308? The 308’s styling owes more to the understated influences of the class-leading Volkswagen Golf than more overtly styled cars such as the Honda Civic. There are some neat creases in the bonnet and down the sides, but overall, it looks rather anonymous; and, if we were to remove the badges, you might struggle to tell it apart from any number of alternatives. The entry-level Access models look especially bland and they also miss out on alloy wheels, but things do get smarter as you move up the range. High-end GT cars look considerably better thanks to their unique grille, 18-inch wheels, body kit and a lower ride height, but they’re still not exactly show-stoppers. For some additional pizzazz, you’ll need to invest in the GTi model, which adds larger alloy wheels, red ‘PEUGEOT’ lettering on the grille, a twin exhaust system and a rear diffuser. Also, exclusive to the GTi is an optional two-tone paint design, which contrasts either a bright red or dark blue front end with black rear-three-quarters. 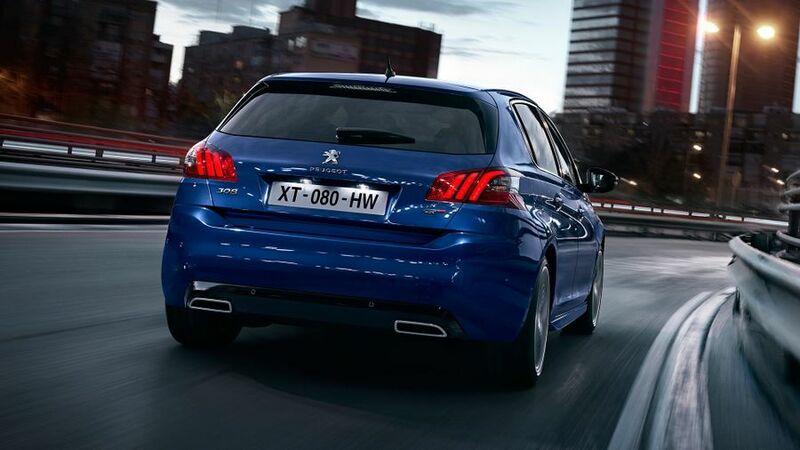 Peugeot’s efforts to move the 308’s interior upmarket, to compete with its German rivals, has been largely successful. Trouble is, these days, every manufacturer is singing from the same hymn sheet, so the 308 doesn’t exactly stand out from the crowd. Yes, the quality of materials is good, and the clean, uncluttered design of the dashboard makes it look quite sophisticated. However, the shortage of buttons and knobs does little for the car’s ergonomics. 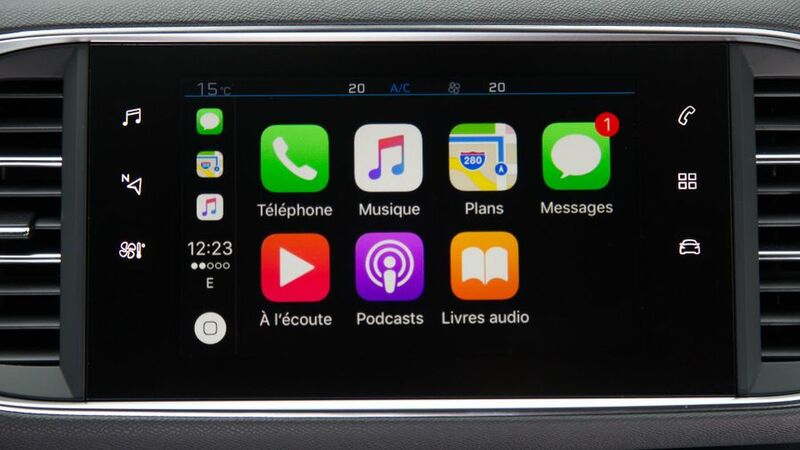 Most functions are controlled through the touch-screen, and the fact that you must use it to control the cabin temperature, rather than simply twisting a knob, is all a bit unnecessary and can be quite distracting when driving. More of an issue for a lot of people will be the driving position: you have to look over the dinky flat-bottomed steering wheel – rather than through it – to see the dials, so this means many drivers will find themselves forced to set the wheel much lower than is comfortable. Given the way most manufacturers scrutinise their competitors, you can pretty much guarantee the 308 will closely match most of its rivals. The major exception in the 308’s case is the Skoda Octavia, which is truly exceptional and offers a lot more legroom, especially for rear passengers. Judged by the norm, however, the 308 is reasonably spacious, with adequate seating for four adults (or five at a pinch); and, while head- and legroom are nothing to shout about, they’re perfectly adequate. On the other hand, the 470-litre boot is among the class best, officially offering more luggage space than the Golf. However, you must take into account the fact that 35 litres of this is in an underfloor storage area. A low loading sill and a wide opening allow access for large items, while the rear seat backs fold down, giving a maximum load space of 1,309 litres. In addition, there’s a 12-litre cooled glovebox and flip-out cup holder up front, along with door bins that can accommodate a 1.5-litre water bottle. The 308 doesn’t trouble the class-leaders in either of these key areas. In a straight line, it provides a comfortable enough ride at most speeds, and it’s only on the worst lumps and bumps that the suspension struggles to cope. Ultimately, there’s plenty of grip, but the suspension is too slack, so the car can feel rather woolly in comers, with lots of up and down movement in the body, predominately at the front end of the car. For the same reason, the car is also quite reluctant to change direction and, although the steering initially feels quite responsive when you start to turn the wheel, it’s sluggish after that, so you have to apply a lot of turning in tighter bends. The range-topping GT models have lowered suspension to give sharper responses (and a slightly firmer ride as a result), but again, the remote steering and the body’s reluctance to change direction means the overall impression is of a heavy, languid car. The GTi feels far more connected to the road. The suspension is firmer which brings stricter body control, and the car reacts to steering inputs far quicker than the basic models. This is great fun on smoother surfaces, but it can feel overly darty on less than perfect roads as the front wheels are easily deflected by any ruts in the road surface. This is something further compounded when maximising the GTi’s prodigious power, as the engine’s forces can be felt tugging away at the steering wheel. Peugeot has an excellent reputation for producing some strong, frugal diesel engines and the latest 1.5-litre unit is an absolute a pearler. It’s a little noisy when you fire it up and first pull away, but once it’s up and running and you learn to use its strong mid-range power (changing gear early, rather than holding on and revving the engine hard) it’s exceptionally smooth, super-flexible and surprisingly rapid. Judged by these standards, the 178bhp 2.0-litre engine can sound and feel quite gruff and rattly, especially under hard acceleration. That said, it does turn the 308 into a bit of a rocket ship thanks to its exceptionally muscular mid-range power delivery. It also comes with Peugeot’s latest automatic gearbox. Considering this is an all-new unit, it’s all the more surprising that it’s not smoother. Possibly, it’s been done to make the car feel sporty, but the way it’s set up means you feel nearly every upshift and every bump down the gears when you’re decelerating. Whatever the reason, it simply doesn’t change gear as well as we’d expect. If you’re after a petrol engine, look no further than the turbocharged 1.2-litre engines. The 108- and 128bhp versions have all the gutsiness you need for getting around briskly and easily, provided you’re prepared to keep the revs on the boil. The little engine is also impressively smooth and quiet, adding refinement to its list of virtues. The GT model has a 1.6 turbo with 202bhp, and it gives strong, warm-hatch pace. This is an area in which the 308 makes a pretty compelling case for itself, especially in the case of the latest 1.5-litre diesel engine. In fact, only the most powerful petrol engines in the GT model fail to compare well to their rivals, with CO2 emissions of 130g/km. That said, the 308’s prices aren’t particularly cheap compared with its rivals’; and, despite Peugeot’s claims to the contrary, resale values won’t be as strong as those of a VW Golf. With this in mind, you’ll need to negotiate hard with your retailer for a big discount to help offset your depreciation losses. According to figures from Warranty Direct, Peugeot couldn’t be any more average when it comes to reliability. That said, the previous version of the 308 was one of the company’s better-performing cars, and most – although, admittedly, not all – of the owner reviews on our site are very complimentary. The car comes with a three-year warranty, which is reasonable, but not a patch on what you get with Korean rivals, particularly the Kia Ceed which has a seven-year 100,000-mile warranty. With a full five stars and a 92% score for adult occupant protection in Euro NCAP crash tests, the 308 has more than proved its safety credentials. The standard roster of safety kit includes six airbags and is supplemented by various optional safety packs. One such pack includes active cruise control, which can brake automatically to keep a safe distance from the car in front and return to a preset cruising speed when the road is clear. Also available is autonomous emergency braking, which can warn of an impending collision and, if no action is taken, apply the brakes to avoid or minimise the impact. This is all well and good, but we would have been happier if this additional safety kit were fitted as standard. 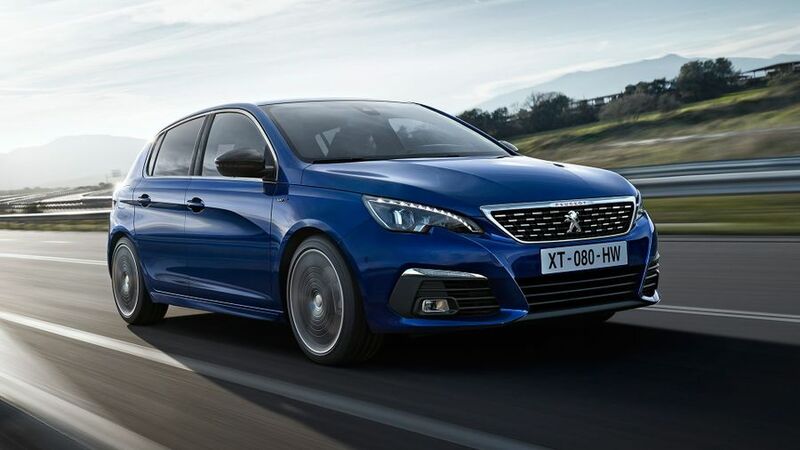 The 308 has a good range of trim levels to choose from, and even the entry-level model comes with air-con, electric front windows, remote locking, cruise control and a DAB radio with Bluetooth phone connection. However, we reckon it’s worth upgrading to Active trim for its climate control, alloy wheels, automatic lights and wipers, rear parking sensors, a leather-trimmed steering wheel and the touch-screen infotainment system that also brings Apple CarPlay, Android Auto and voice activation for the radio, navigation and telephone. Beyond that, Allure trim adds front foglights, a reversing camera and power-folding mirrors, while top-end GT Line adds a whole bunch of sporty styling, including full-LED headlights, LED foglights and LED sequential scrolling front indicators. There’s plenty to appreciate here – not least the comfortable ride and punchy refined engines. However, you’ll need to be willing to sacrifice the levels of refinement and driving pleasure or the same strong residual values you’ll get in a VW Golf. Also, we’d strongly advise that you take a test drive in the 308 before you consider buying one, as fundamental ergonomics have clearly been sacrificed at the altar of style. But, if you can live with the rather eccentric driving position, then you’ll certainly enjoy it.